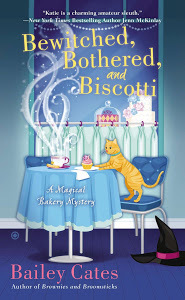 Since I enjoyed the first Magical Bakery Mystery, I decided to read the next one to see if I would still enjoy the characters and setting. I love coming “home” to books that have a continuation of characters, locations and even themes. I find it comforting. So much so that I just want to sink in and stay there awhile. 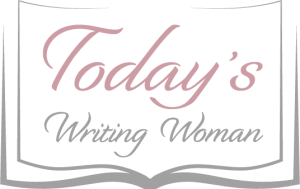 Katie is back with another mystery to solve and so are all the characters from Bailey Cates’ first novel. This time we are given the opportunity to really get to know more about the guys in the book and why one of them shares a special kinship with Katie. Now it’s not like Katie has to solve anything, but if she didn’t there would be no book. Move of her heritage is discovered and just a bit more of her parents is revealed. So while Katie is learning more about who she is and how to deal with it, she has to figure out what’s going on and pretty fast before things get out of hand.She will have help from her two male friends as well as her newly adopted coven and of course her Aunt Lucy and Uncle Ben. And let’s not forget about Mungo! I wish I had a dog like him!